Key Difference: Mother’s Day is an American Holiday, while Mothering Sunday is an old Christian holiday that is commonly celebrated in some parts of Europe.Mother’s Day is celebrated on the Second Sunday of May in many countries. 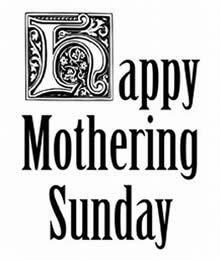 On the other hand, Mothering Sunday is celebrated on the Fourth Sunday of Lent. While Mother’s Day and Mother Sunday sound like variations of each other, these are two different days and signify two different things. Mother’s Day is an American Holiday, while Mothering Sunday is an old Christian holiday that is commonly celebrated in some parts of Europe. This is one of the many differences between the holidays. Mother’s Day can be dated back to the early 1900s as a day created in order to honor mothers and their continuous service to the house and the children. Anna Jarvis is credited with creating this day in order to commemorate all mothers around the world. The holiday has now become commercial and is celebrated by over 70 countries around the world. 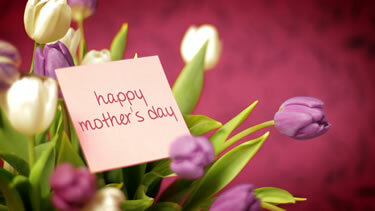 On this day, children and spouses shower the mother with presents, flowers, and pamper her the whole day. Mother’s Day is celebrated on the Second Sunday of May in many countries. On the other hand, Mothering Sunday can be dated back to old Christian days. It is celebrated on the Fourth Sunday of Lent. Although mothers are honored on this day, the term ‘mothering’ actually refers to the ‘Mother Church’. In the olden days, after a certain age children would leave their parents and go off into service. The boys would go off to apprentice for a master and the girls would go into service. On this day, they would receive an off from their services and were allowed to return home and attend their home church or ‘Mother Church’ for service. The day of the celebration is also significant as the rules of food that are adhered to during Lent are relaxed on this day in order to enjoy the feast as a family. While coming back, the children would often bring back sweets, presents and treats for their mothers and the family. Now with the commercialization of the holiday, the celebration of the day is now similar to Mother’s Day in the United States. On this day, mothers are often pampered and showered with gifts, sweets and flowers. Children that have gone off to work return home and visit their family and attend their ‘mother’ church. Flowers, Breakfast in Bed, Holiday for mothers from all chores, Spa Appointments, Shopping, Jewelry, etc.